Gakuen Utopia Manabi Straight! 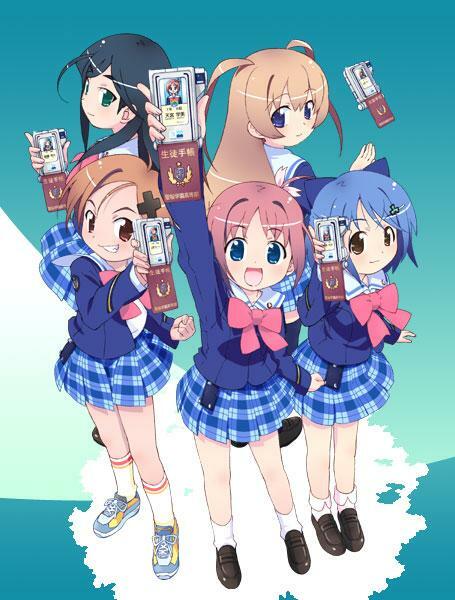 is a slice-of-life school girl comedy series set in the not-too-distant future of year 2035. Energetic new student Manami Amamiya, aka. Manabi, transfers to the stagnating Seioh High School, an all-girl school, bringing with her the catchphrase: “Forward, go!” The school will never be the same again. That’s pretty much the premise as I perceived it after the fist episode, which was one of the best anime watching experiences I’ve ever had. It was funny, uplifting, and exhilarating. The sci-fi elements were intriguing (most notably Manabi’s hoverboard, which was put to good use), the characters likable, it was funny, and it had moments of pure beauty. Unfortunately, it doesn’t quite keep its momentum, and the premise starts to change. It quickly becomes less energetic, getting bogged down in just one specific thing: Manabi joins the student council and is dead set on making this year’s School Fair event the best School Fair ever. And that’s pretty much the plot of the show after the first couple of episodes. 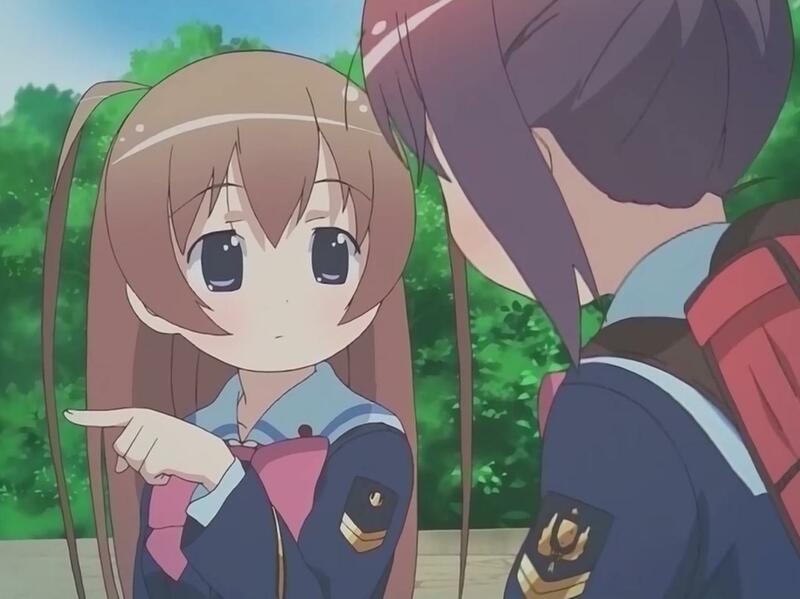 It’s not that interesting a plot, and I wish they could have instead focused on the various duties the student council has; on the futuristic sci-fi school life in general; and on how Manabi settles in and how she affects her fellow students. The series is still bubbling with style though, with aesthetics and artiness, with curious scenes and elements I’ve not seen in any other animes of this genre, which kept pleasantly surprising me. For example, the end credits is done with dolls representing the show’s main characters. And at the start of one episode we see a band on stage about to play a song, but just as the vocalists is about to start singing they smash cut to the opening credits, and we don’t get to hear the song ’til later in the episode. 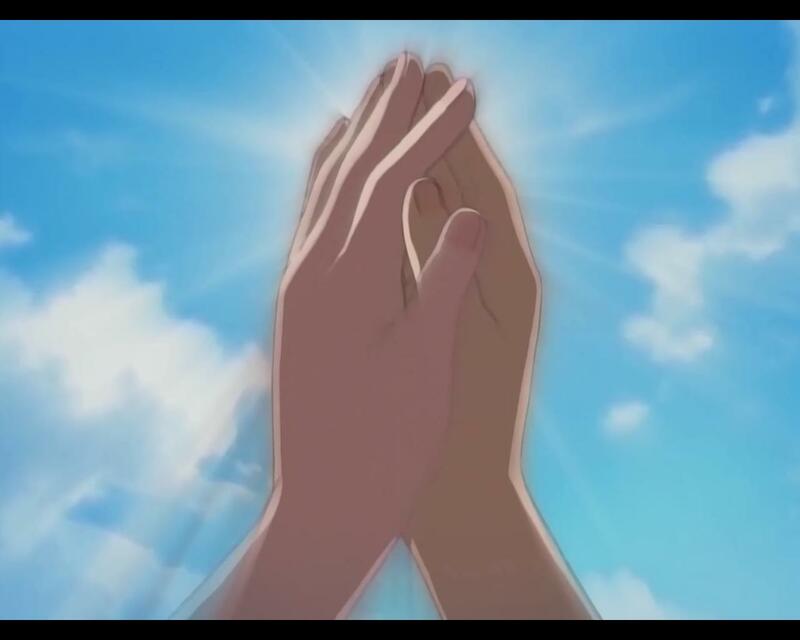 The best scene of the entire series – gomenasai for spoiling this for you – is definitely this surreal moment, from the first episode, where Manabi starts singing Seioh High School’s school anthem in the school’s assembly hall, while the students all close their eyes and envision the same thing. 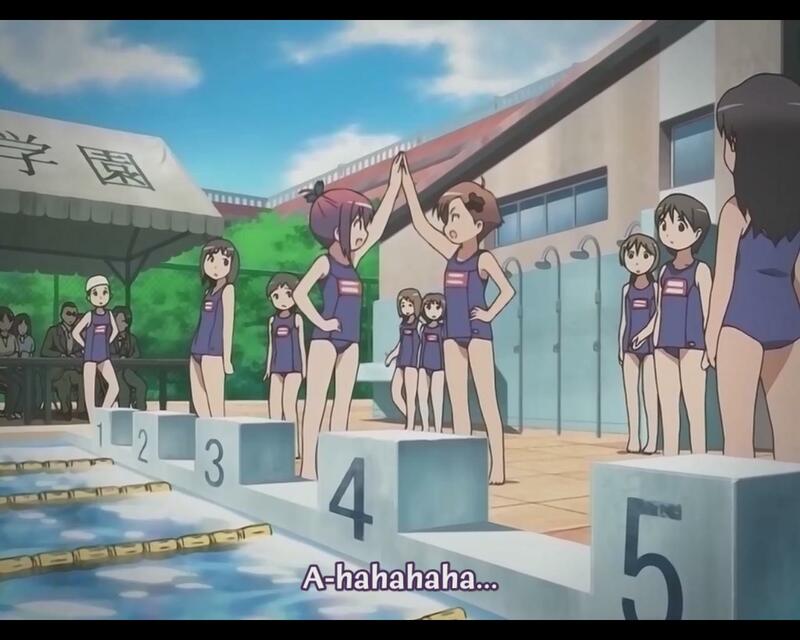 And one of the funniest scenes – also from the first episode – is when Manabi spontaneously joins the swimming team in a competition to fill in a vacant slot. 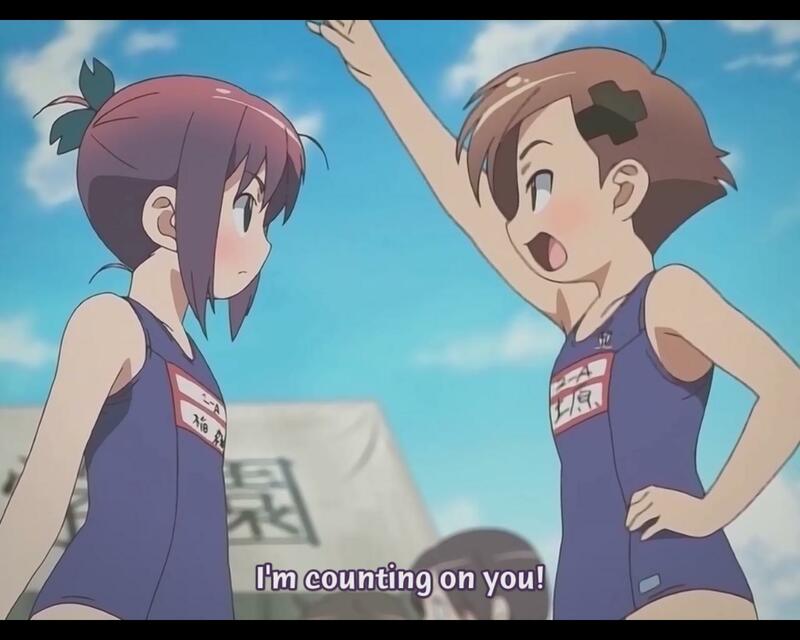 Manabi meets the tomboyish girl Mutsuki who, with cheerful determination, tells her “I’m counting on you!” and raises her hand for a high five. 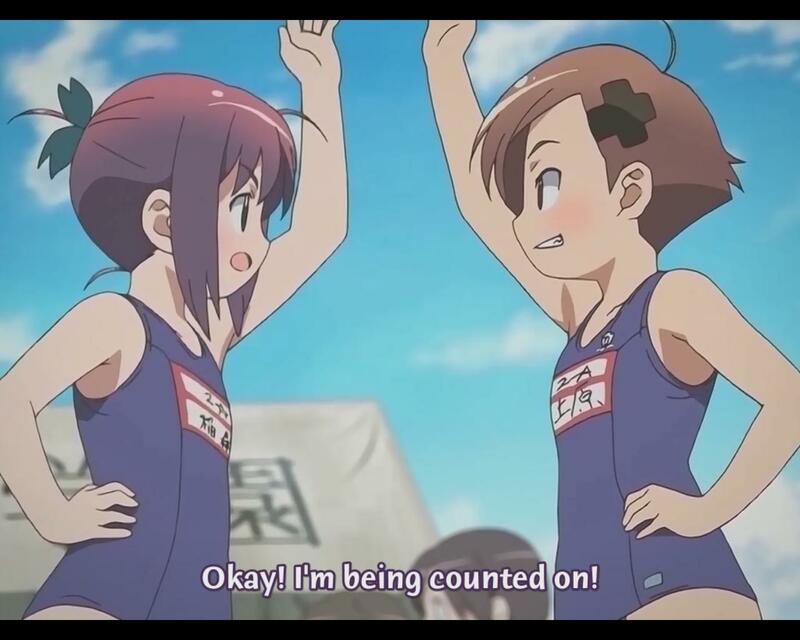 Manabi responds, more determined and slightly less cheerful than her comrade, “Okay! I’m being counted on!” and raises her hand to engage in the high five with Mutsuki. Then they both laugh heartily. Oh, and a common criticism against the show is the character designs of the show’s protagonists, including Manabi herself. While they look good for the most part – complete with some moderately crazy anime hairdos – they do not look their intended ages; if I were to guess I’d say the characters were maybe 12 years old, give or take a year. But as the show progresses, it’s made obvious that they’re supposed to be around 16 years of age. They definitely do not look that mature. In the end, Gakuen Utopia Manabi Straight! was, like so many other anime series before it, almost really good, and you can’t help but wish it had been really good so you could wholeheartedly stand behind and recommend the series to others so they could experience all the delightful elements within. But in the end the show gets bogged down in tedium, and it could have used a bigger dose of “forward, go!” to help drive it forward. But if you, like me, generally find the slice-of-life school girl genre of anime enthralling, Gakuen Utopia Manabi Straight! is definitely worth a look. And I’d recommend pretty much everyone to watch the first episode from start to finish, even if they won’t see the rest. "My hair is givng you directions." This entry was posted in anime and tagged gakuen utopia manabi straight!, school girl. Bookmark the permalink.